Do you ever wonder why is your hard drive is spinning and your not using it. 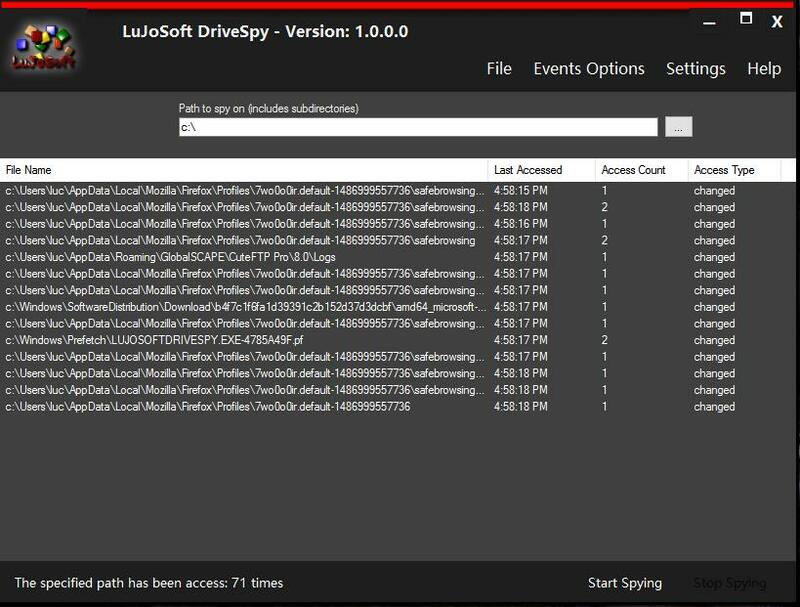 Now with DriveSpy you can easily see every time a file is created, updated, deleted or renamed on you disk. Double click any files to open the folder in windows explorer. Save the list to log "text file". Save the list in HTML for better viewing in your browser. Open the program and click the start spying button.